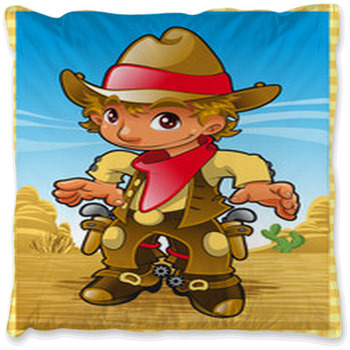 The wild, wild, west was full of adventurous cowboys. 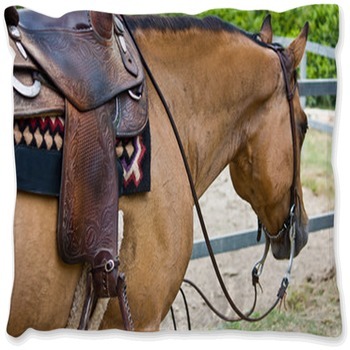 Settled on top of their horses with ropes in hand and guns on their hips. 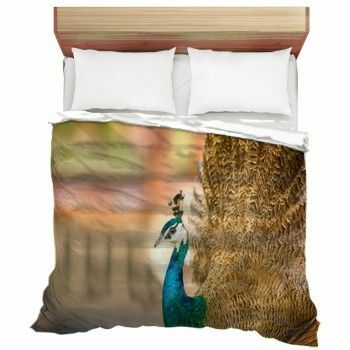 Decorating a room filled to the bring with this style in mind is not only easy, but fun, and inspiring. 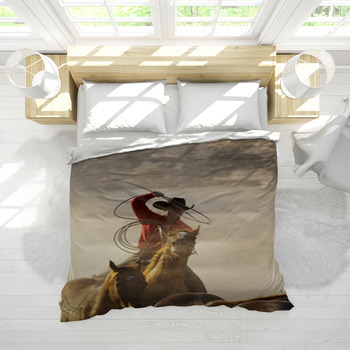 At the core of the bedroom will be the custom bedding, and to make that focal point stand out you will want some creative unique cowboy designs. 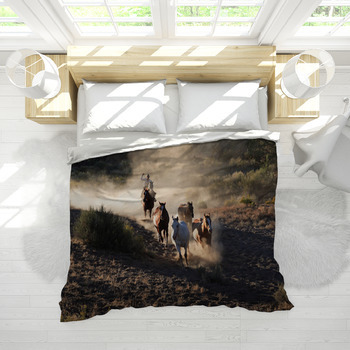 VisionBedding offers cowboy bedding with full of dusty cowboys and rugged horses as well as patterns of handkerchiefs, and saddles, and even the classic cowgirl here and there. 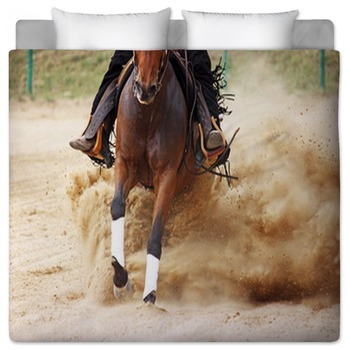 In order to inspire the rider in us all, the bedding must transport us to that special moment and place such as riding the range of grass and wind. 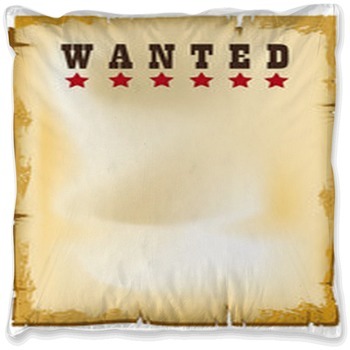 Cowpokes and horse handlers gather round, the sleepy time rodeo is about to begin. 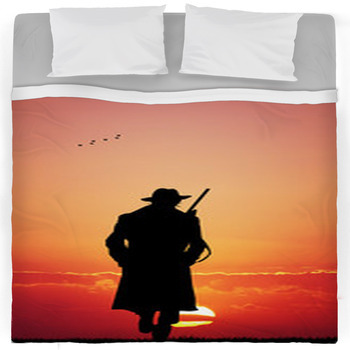 Let us travel to the wild west and meet up with Hopalong Cassidy and Annie Oakley in our one of a kind country style bedding. 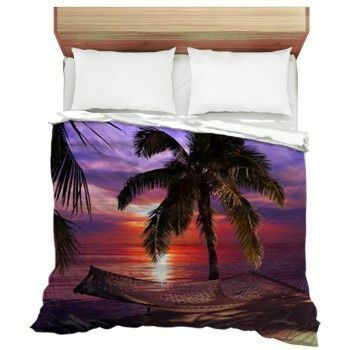 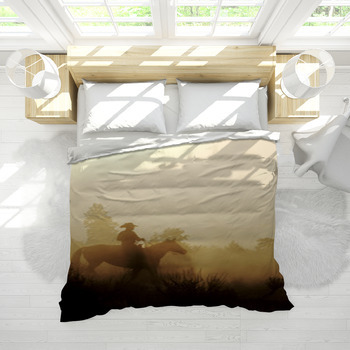 Realistic cowboy bedding and some rough around the edges decorations like wall art and window curtains, will bring new life to any unique bedroom. 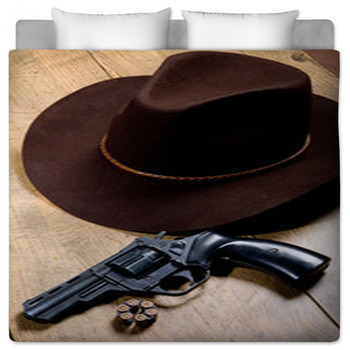 Not only can you create the perfect cowboy bedroom, but now you can design your own perfect bedding to match. 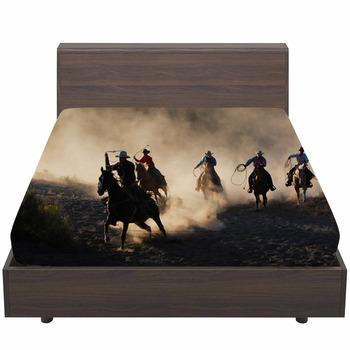 From roping and riding to shooting them up, all your favorite scenes from the Wild West will walk out of the old westerns and onto your new decor set. 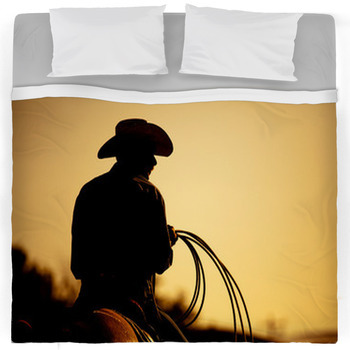 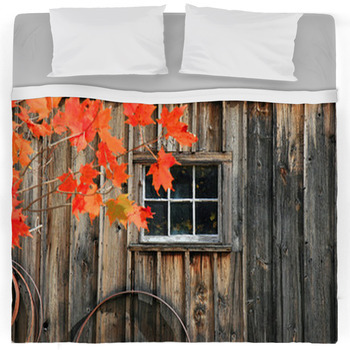 Don't ever settle for less than the best of the West with VisionBedding's Cowboy themed bedding along with custom Wall Art.